You can start the song to get students interested. Then do the pre-task (cut it off the handout). Students work with a partner, then finish a few sentences about pirates. Discuss the answers with the class, or have the pairs mingle and share with other pairs. Finally, listen to the song and fill in the gaps. 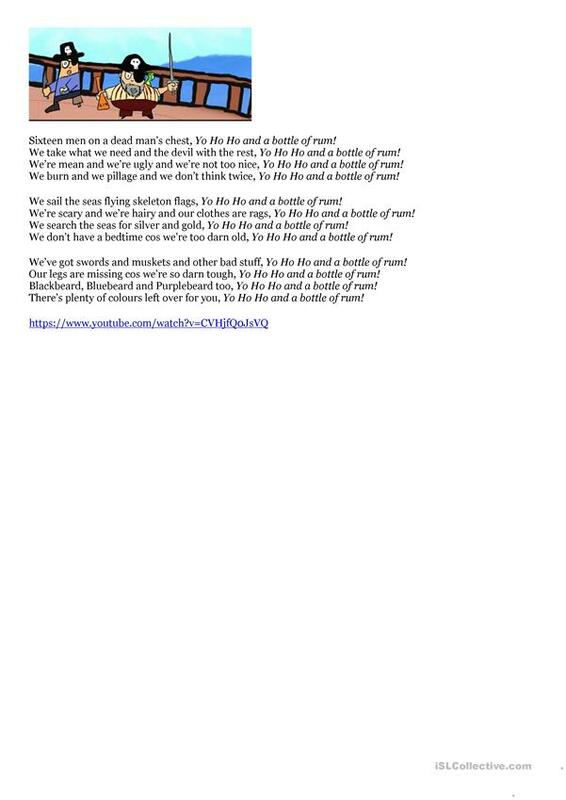 The second page contains the full lyrics. 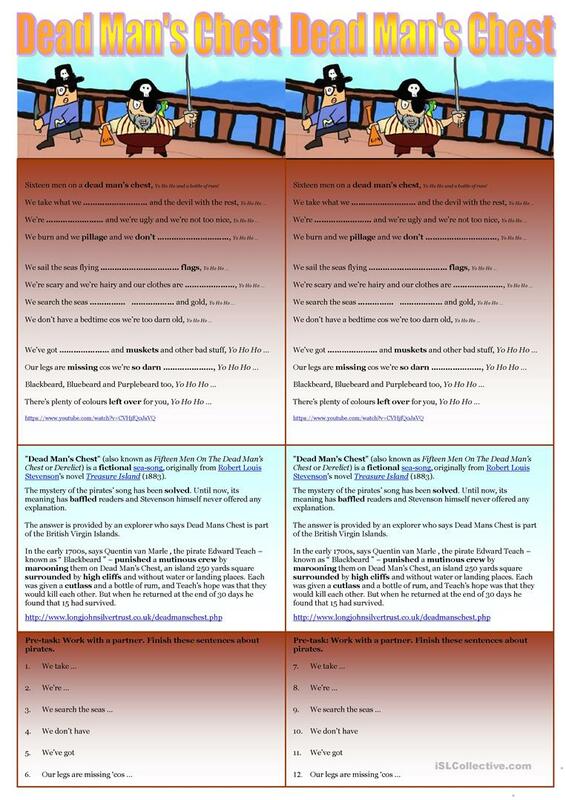 This printable, downloadable handout is best suited for high school students and elementary school students at Elementary (A1), Pre-intermediate (A2) and Intermediate (B1) level. It is excellent for working on your class' Listening skills. It focuses on the vocabulary topic of Pirates. You will find the answers at the end of the worksheet.